Driver now charged with murder in crash that killed 3 in South Philly. Rick Williams reports during Action News at 5 p.m. on March 26, 2019. PHILADELPHIA (WPVI) -- The driver who was charged following a crash South Philadelphia that killed three people, including two members of a Mummers organization, is now charged with third-degree murder. The charges were announced as that driver, 29-year-old Keith Campbell, was in court Tuesday for a status hearing. The district attorney's office said the three murder charges are based on "further investigation by our office." Action Cam Video: Deadly head-on crash in South Philadelphia on January 2, 2019. The murder charges are in addition to previous charges of homicide by vehicle, the DA's office said. The crash happened in the early morning hours of Wednesday, January 2. Police say Campbell, of Bear, Delaware, stabbed himself several times before crashing into the victims' SUV at 7th Street and Packer Avenue. Witnesses told police Campbell crossed the median into opposing traffic while speeding before the collision. Campbell had been pursued by police in Delaware before the wreck, but the chase was called off before Campbell crossed into Pennsylvania. 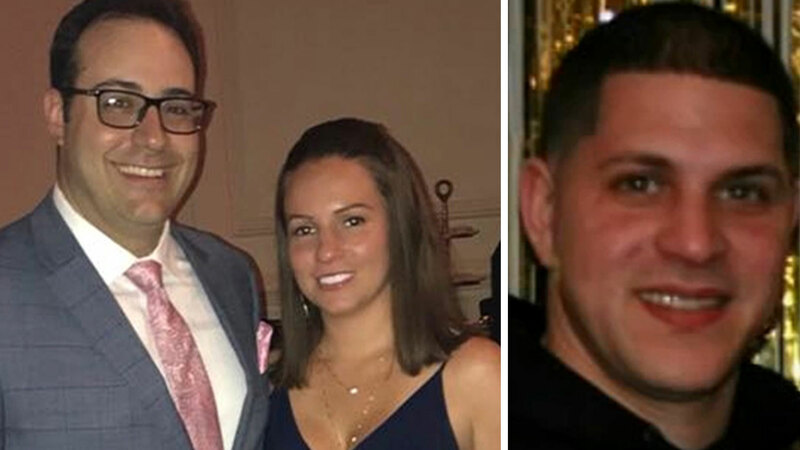 31-year-old Dennis Palandro, 36-year-old Joseph Ferry and 35-year-old Kelly Wiseley were killed. Palandro's wife Nicole was also in the SUV. She survived but was seriously injured. Ferry and Wiseley had just gotten engaged on Christmas. Neighbors react to fatal South Philadelphia crash. Jeff Chirico reports during Action News at 5pm on January 2, 2018.